K-pop boy group iKON made its much-awaited debut Tuesday with the single “My Type,” which was topping all major charts immediately after its midnight release. Medium tempo hip-hop track “My Type” ranked No.1 on eight local charts, including Melon, Genie and Olleh. The song also nabbed the top spot on iTunes’ singles chart in seven regions, including Hong Kong, Laos, Malaysia, Singapore and Thailand. iKON is the newest act from YG Entertainment, home to K-pop heavyweights from Big Bang and Psy to 2NE1. 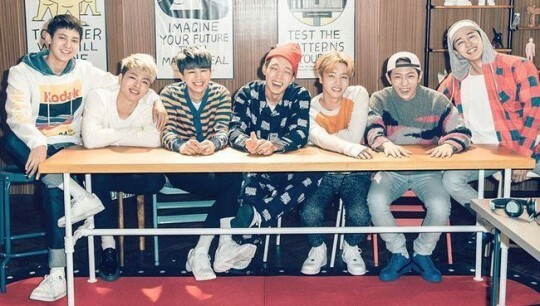 The seven-member band -- comprising leader B.I, Jinhwan, Bobby, Yunhyeong, Junhoe, Donghyuk and Chanwoo -- garnered a strong fan base even before its debut. Beginning with the single, iKON will release a series of albums in sequence. On Oct. 1, they will unveil a six-track EP and then on Nov. 2 release the full 12-track album, containing all the previously released songs along with other tracks. The band will hold its first-ever concert, titled “Showtime,” at Olympic Gymnastics Arena in Seoul on Oct. 3.